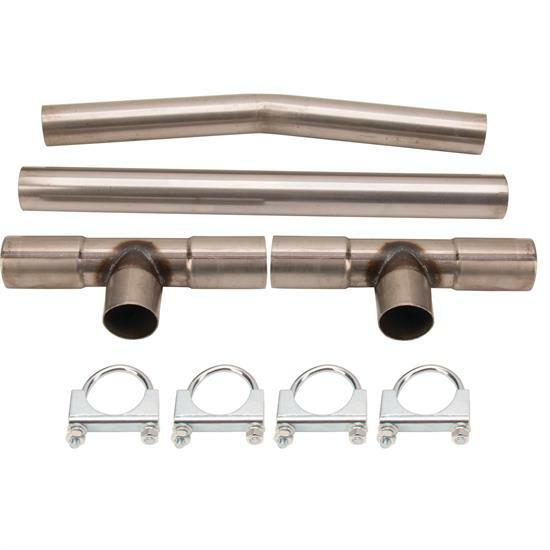 Improve the efficiency of your dual exhaust system with this H-style balance tube kit from Speedway. Balancing the flow of exhaust gases will lead to increased engine performance as well as tune the system's sound. Universal kit comes with everything you need to convert most common systems, including both a 24" straight a V-bend crossover tube when clearance may be a concern. Stainless Steel Exhaust Pipe Mandrel U-Bends, 2-1/4 Inch O.D.